Special discount for Post-Expo Conference! 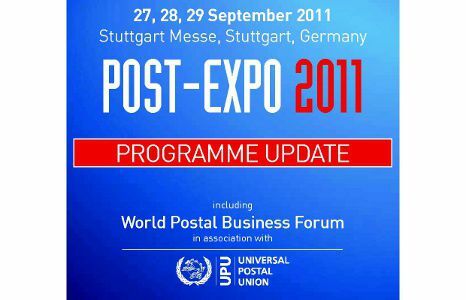 During Post-Expo 2011 (27, 28, 29 September in Stuttgart, Germany), it will take place the three days of the World Postal Business Forum, Operations Conference and Technology Workgroups. On September 28th the Alkè export manager will attend as speaker to the Technology Workgroup: Green transport solutions. The Technology Workgroups give you the chance to see and hear first hand new innovation and technology development for the postal industry. If you would like to attend the Conference sessions we can give you a 25% discount code for the Conference Pass.